ApparelMagic is a software that manages fashion brands in the apparel industry. "Great to use for retail and wholesale fashion company"
I used ApparelMagic at a fashion company (AmourVert, a fashion company). For accounting, we use QuickBooks which was not suitable to keep details of all clothes. ApparelMagic allowed us to keep details of all different clothes that we have. It provides a lot fields and is very convenient to keep details of products for fashion companies. It is excellent source to keep history on all products that company sells. Actually, for fashion company (retail & wholesale), I can't think of a better alternative to keep details of multiple products (SKU's). It integrates well with accounting software. We did not integrate. We simply generated detailed reports from ApparelMagic and inputted entries into QuickBooks. Accounting software does not allow to keep details of multiple products for fashion companies. Is is essential to keep all those details in ApparelMagic. Also, we had a very positive annual stock count and audit experience with ApparelMagic. We were able to print details reports of our products (clothes) by SKU for each warehouse and export detailed reports in Excel. ApparelMagic reports provided excellent details for annual stock count for each warehouse. It was simple to go through report and count the products. The count reports provided all necessary details. Auditors were pleasantly surprised with details of ApparelMagic reports and quality. After annual count, it was very easy to adjust ApparelMagic for differences found and keep good details. Overall, I found ApparelMagic a very good system for retail & wholesale. It provides good details of items sold (SKU's), allows to generate excellent reports and it very simple to use. I believe that ApparelMagic can be used together with all major accounting software, to enhance and provide details about inventory and its purchases and sales. Overall, this is an excellent and easy to use system. Our wholesale and accounting departments used ApparelMagic (wholesale to input itemized detailed data on items sold and accounting mainly to run reports and record annual count and other accounting adjustments). The system is very easy to use and provides great useful details. If you compare ApparelMagic with standard accounting systems (say, QuickBooks), it is quite specialized (i.e. great for use by a wholesale or retail company, but not for everyone) and might be not as widely used as other popular accounting software. Besides this, I could not see any disadvantages. Absolutely. I strongly recommend to at least companies from my industry (fashion, retails, wholesale, e-commerce) that sell multiple (hundreds and thousands) products implement ApparelMagic. ApparelMagic can be used very successfully with other accounting software. General accounting software does not provide details necessary for accurate accounting and audit of companies with multiple products. ApparelMagic provides such details in a very organized manner. Additionally, the system is very easy to learn and use. I also found that ApparelMagic customer service and support was excellent, very high quality. I like ApparelMagic reporting. Those reports are very easy to run and provide very useful details. I worked for a fashion company with wholesale, retail and e-commerce divisions. Our accounting software was not adequate to keep details of all items (clothes) that we sold. We used ApparelMagic to record and store details about clothes (SKU) that we sold. Additionally, we run multiple reports on sales, inventory counts and purchases, as well as warehouse movements of clothing items that we sold. ApparelMagic was amazing great system to store all historical details of clothes that we were selling. ApparelMagic was highly appreciated by our auditors who saw details and were very happy our accurate reporting. Instead of giving just reports in general accounting system and Excel support, we provided details from ApparelMagic. Our auditors were happy that we are keeping all inventory details in automated system ApparelMagic that generates high quality of support. I was also pleasantly surprised of great customer service that ApparelMagic provided. Customer support helped me multiple times to solve some reporting problems and some non-standard situations for my company. Overall, I believe that our fashion company (retail, wholesale and e-commerce) would not be able to keep accurate inventory and sales details without ApparelMagic. "Excellent software for inverntory management"
Almost everything met or exceeded my expectations. Worked well to keep track of inventory and pricing with ease. I really liked everything about the software and the support was great as well. Among the professional services offered are process optimization, on-site project management, implementation, training, phone support, software personalization, and custom programming. 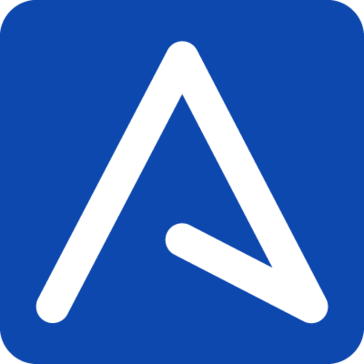 aWorkbook is a multi-platform sales app allowing you to provide up-to-date and accurate product information to sales teams and retail buyers. aWorkbook provides a full product showcase with powerful filters to create personalized customer presentations and product assortments. aWorkbook supports successful category based selling initiatives. ERP - Apparel Management Solutions - Sales, Planning, Production Warehouse. Apparel + is a suite that automates operations of the garment manufacturing process with integration at all levels and web enabled. It is being used as a management tool in the manufacturing outlets of apparel. AppGMS is an apparel management software that offers stock build, customer relation modules and helps customers manage and expand the garment business. Fashion ERP Software & Mobile are a Consumer App where the app will be submitted into the Apple app store to show your products, a iTradeshow app where you will be able take orders at the trade show to go paperless and eliminate as much data entry as possible and an iPDM app in which the Photo, description and style number can be automatically entered into the system via iPhone without any manual data entry. PrimaNet is a suite of specialist multi-channel business systems designed to meet the specific requirements of the clothing, footwear and accessories marketplace, providing the ultimate solution for your business. Embrace true multi-channel processing with a single view of your products and customers in real-time. We have been helping businesses for over 25 years. * We monitor all ApparelMagic reviews to prevent fraudulent reviews and keep review quality high. We do not post reviews by company employees or direct competitors. Validated reviews require the user to submit a screenshot of the product containing their user ID, in order to verify a user is an actual user of the product. Hi there! Are you looking to implement a solution like ApparelMagic?